Acerbis has always made technology and experiments the two linchpins of its philosophy: a design in which the visual and the tactile live side by side in a combination of function and beauty. A system of values that dominates the DNA of Acerbis and places the most advanced techniques and the selection of the most innovative materials at the service of design. An idea capable of catching and predicting unspoken needs, of interpreting and anticipating transformations in the ways of living, new functions and technologies, the possibilities and expressive aspects of new materials. 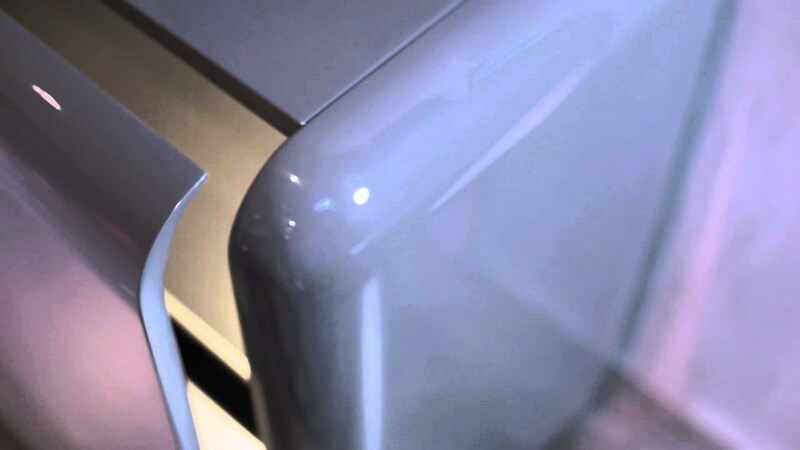 To make the movement of opening an essential element of beauty, to give functional design added aesthetic value so that it becomes a surprise: this is the basis behind the solid, innovative concept of the Acerbis opening system. The patents for the Acerbis systems, such as the Dual Flap and slide-and-pivot doors, embody an idea that goes beyond tradition to become a completely practical means to manage space and at the same time to make movement itself an object of design. Acerbis interprets technology and establishes a close link to the home and to its relationship with man. The living area becomes one with the most recent audio-video systems, surrounding the person living there with comfort and providing the possibility of choosing whether or not and how to interact: televisions and hi-tech supports are immersed in Acerbis design to provide technology at your fingertips. Personal devices, such as Smartphones and multi-media readers, are given an ideal space and top quality amplification from within products, such as N.C. Smart Wall, that hide the most advanced functions behind the beauty of a linear, interactive design. Acerbis design shows a meticulous care for detail, typical of artisan skills, and its research and studies of exclusive, innovative finishes produce sophisticated features. The new, hand-brushed metal effect finish, introduced in 2015, the historic, impeccable polyester lacquer, the encausto finish or hand-applied gold leaf: these are just a few of the precious Acerbis techniques that go far beyond the concept of finish as the final element and product design accessory, and transform it into the linchpin of the project. Acerbis materials successfully blend aesthetics and practicality and are based on years of experience and experiments: a store of know-how that makes selection unique. Take K-Stone, for example, used on the N.C. Landscape panelling. It is the incarnation of a study to recreate to perfection the natural grains of marble, surpassing the quarried material: the large, non-absorbent, only 6 mm-thick sheets make K-Stone a covering that captivates for its aesthetics and for its practicality. The approach to elements such as metallic mesh, applied to the legs of the Serenissimo table, is the mouthpiece of the Acerbis innovative concept of material that breaks the mould and transfers the most unusual materials, taken from different sectors of application, into the world of design.